For storing LP’s upright I have tried a few different methods. The first was just keeping them in a cardboard box but I soon notice they never were actually sitting totally upright.I then tried some milk crates that I purchased at ACE Hardware for around $8 each. A 2 pack is also available on Amazon. These seemed to work quite well as soon as I padded the edges where the records rested against them with shelf contact paper. I had started noticing a small line forming on the very back LP from all the weight of the others leaning against it. Once padded this was no longer an issue. This method also had the problem of records never quite standing straight up. Next step was putting them all on a shelf I had around the house. I soon realized that not just any shelf will do. Soon after putting about 30 records on this shelf it started to bow from the weight. If you plan on keeping LP’s on a shelf I would recommend buying decent quality unit. 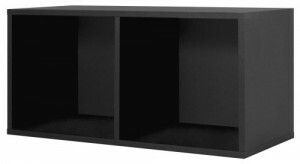 A great shelf to use is the Foremost 327806 Divided Modular Storage System. They are very sturdy and have no problem supporting LP’s in the horizontal or vertical position. 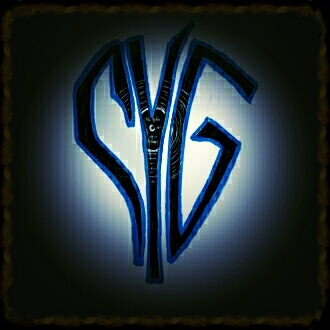 They are available in 4 different colors as well. My suggestion would be to just skip the box and milk crate storage and purchase a decently built record shelf. My next step was going to a Vinyl Record Storage Case. I opted for this choice over other storage furniture for a few reasons. First there is a cover. This makes it even more dust proof than having them on a shelf. Being able to completely cover your collection in my opinion is very important. They also have handles on the side to aide in transport. The smaller LP cases that hold 90-100 records or less are easily carried. The 200 LP cases that I own do take at least 2 people to move as they are very heavy when loaded. They do not hold 200 records if you are also storing some double LP’s with Gatefold covers. With these included I can store anywhere from 150-170 LP’s in one box. 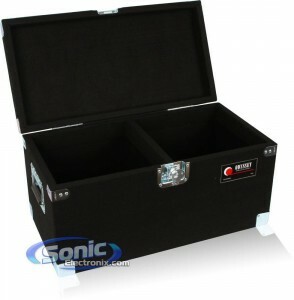 I love these Odyssey LP Cases because they are very well made and carpeted so that nothing gets scuffed or scratched. I own three of these cases and I have been very happy with them. I have not had to look around to upgrade my storage for a long time and will probably never have to. In my opinion these are a steal with a price as low as 129.99 + Free Shipping. Thanks for stopping by and Happy Listening! 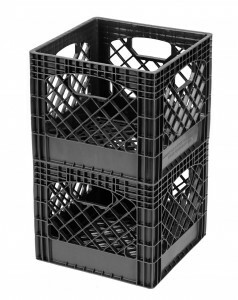 A collection under 100 LP’s can easily be stored in milk crates or in small shelving units. For collections over 100 records I would definitely recommend one of Odyssey’s LP Cases. They look great and protect better than any other storage system I have seen or used. Since I upgraded to these I have been very happy with them.